The first things we noticed were solar panels in fields and wind turbines high above the buildings. As we drove in, we could see though a colorful border to another solar panel on the hen and goat house where families were visiting and children were feeding the chickens and swinging on tire swings. Renewable energy! So far we were feeling good about this farm operation. 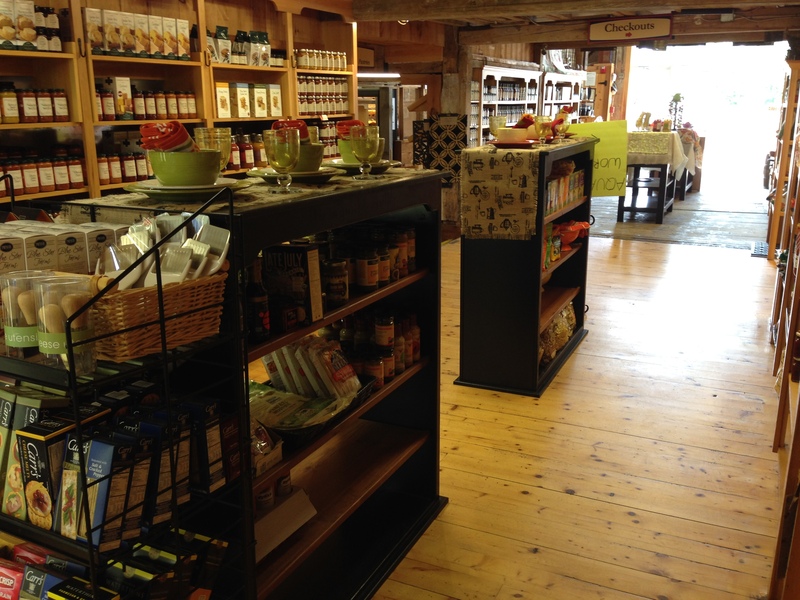 The country store was an ancient cow barn now housing a plethora of home goods and foods, Stonewall Kitchen goodies, cider doughnuts, flowers, fresh foods. 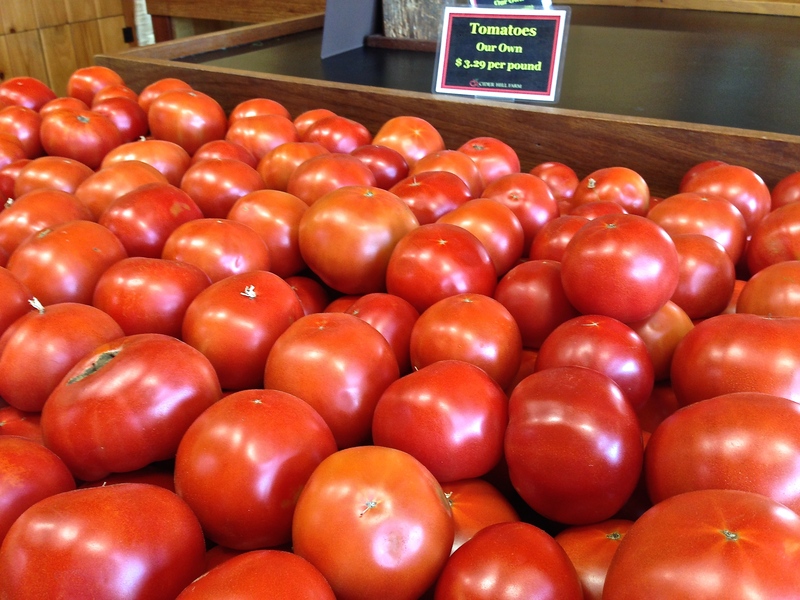 In the rear of the store, we found what we came for… tomatoes and more tomatoes! 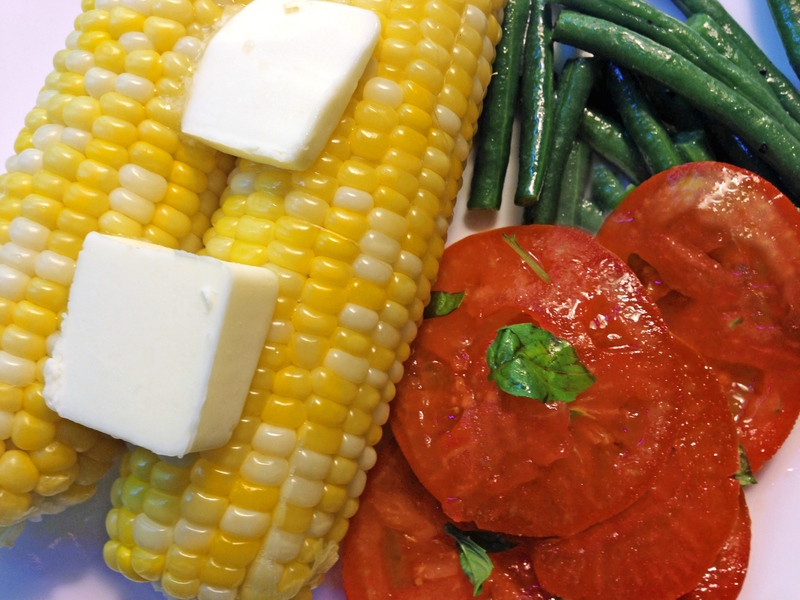 But the corn and beans were also too lovely to pass up. 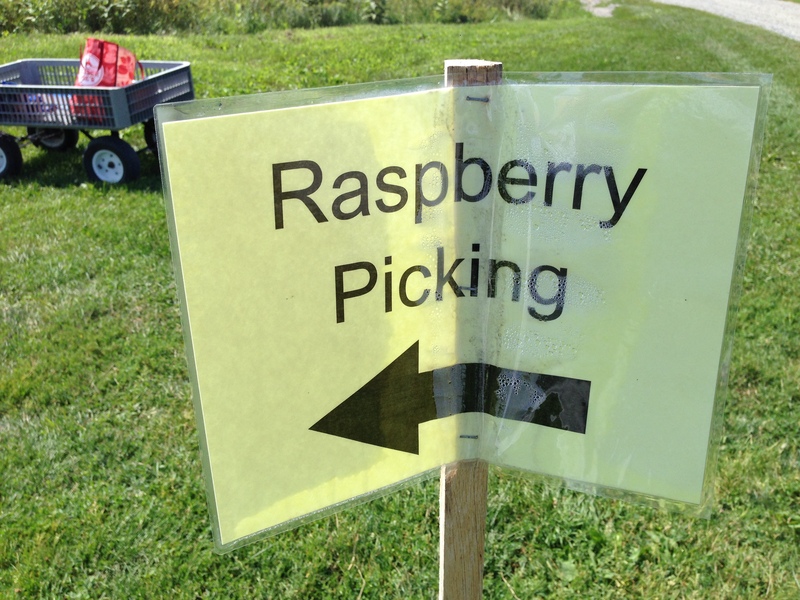 After making our purchases, the gals at the register urged us to follow the path to see more of the farm. 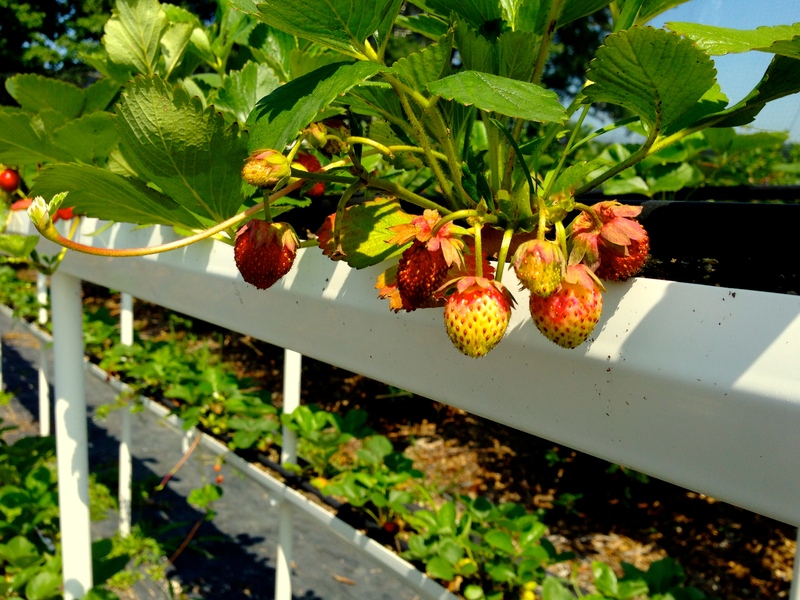 It’s blueberries and raspberry picking season but we could see apple orchards and strawberry fields… but we really wanted to check out their method of growing tomatoes in hoop houses. 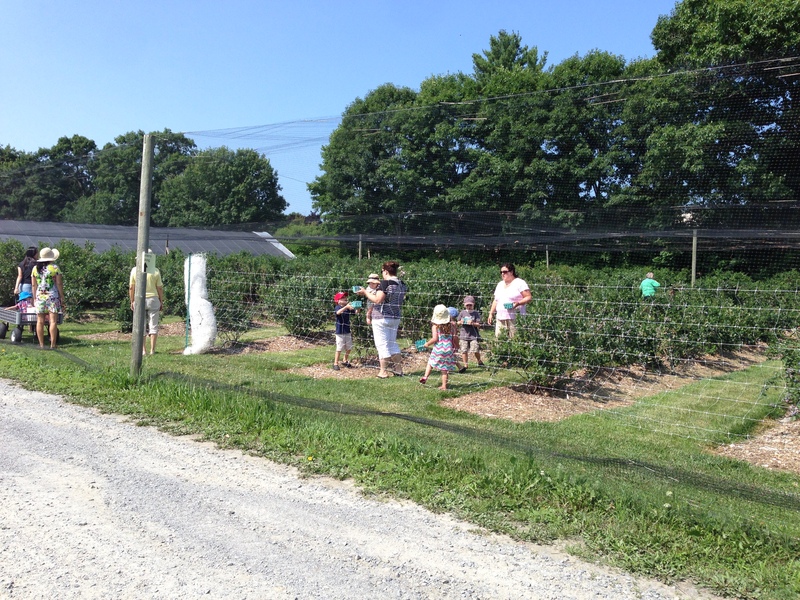 The blueberries were completely enclosed in a wall and ceiling of nets to keep out the critters. 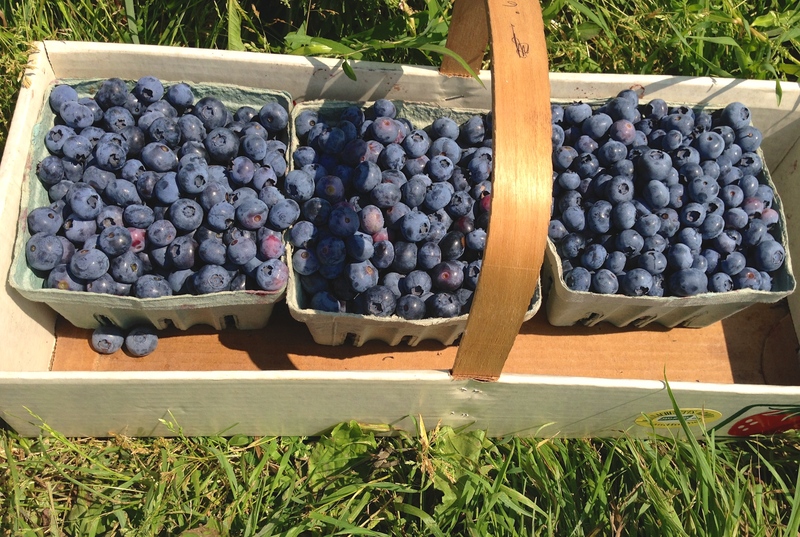 The berries were plentiful and plump! 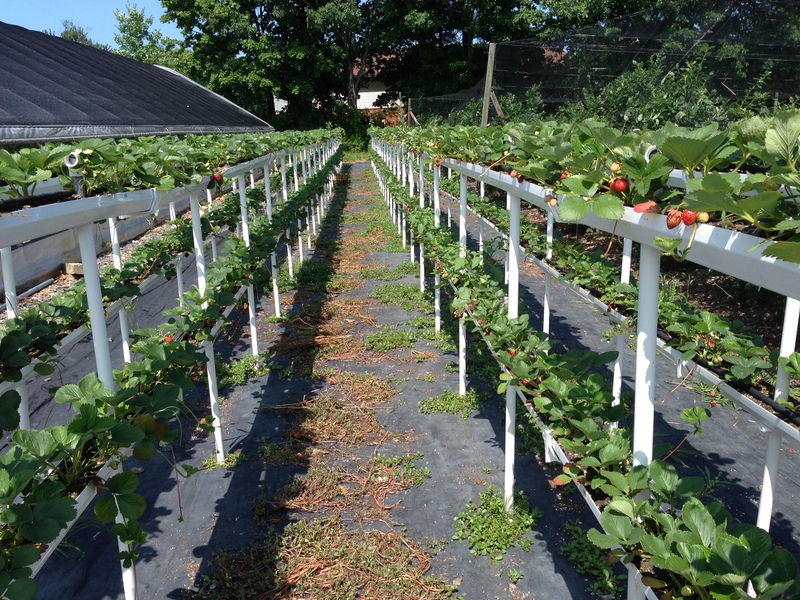 Raspberry fields were occupied by pickers and strawberries in interesting troughs looked healthy. 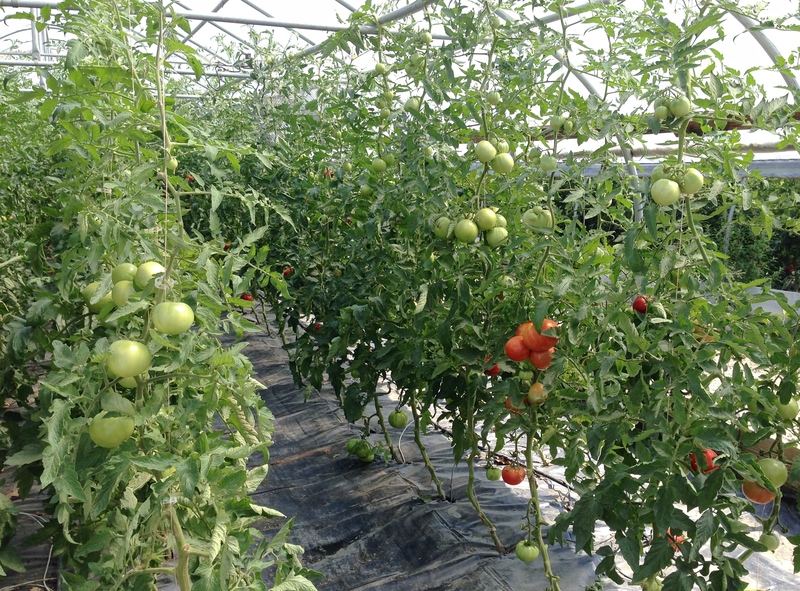 Ahhh… the hoop tomato houses. 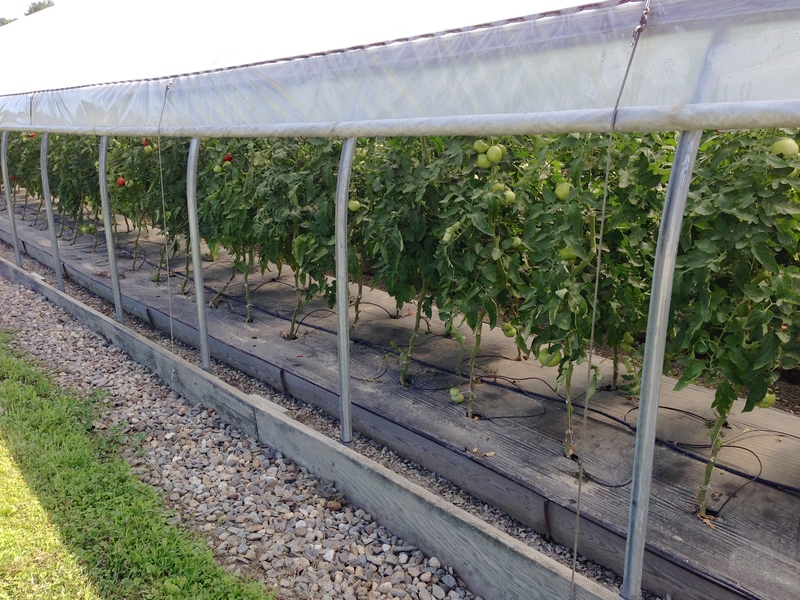 Tomato plants begin here in April, heated with sides rolled down like a typical greenhouse. Plants have a good start when the sides are rolled up and exposed to sun and breezes… but not rain. The foliage is kept dry by watering plants at the roots. No diseases! They have 10 greenhouses for tomatoes, planting them every two weeks so they can harvest past frost. 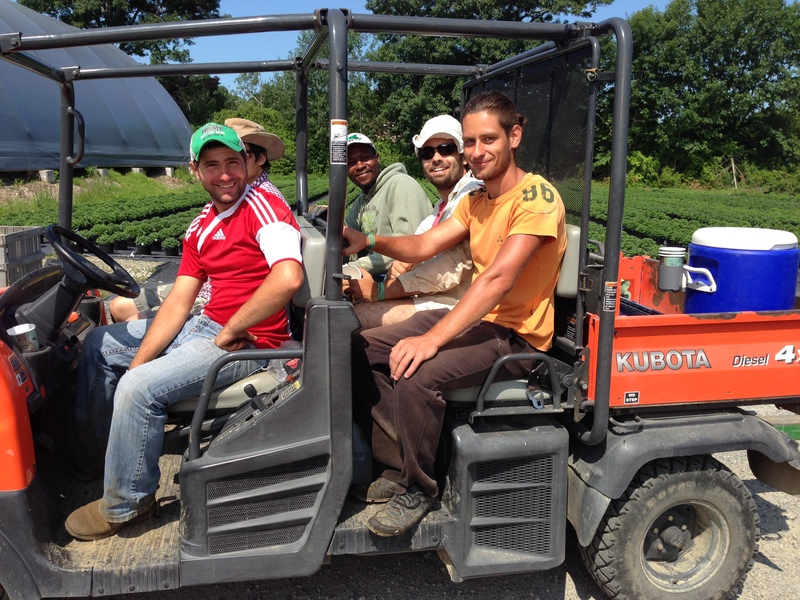 While we were poking around, a team of workers pulling a trailer of vegetables drove by. These weren’t just any workers. 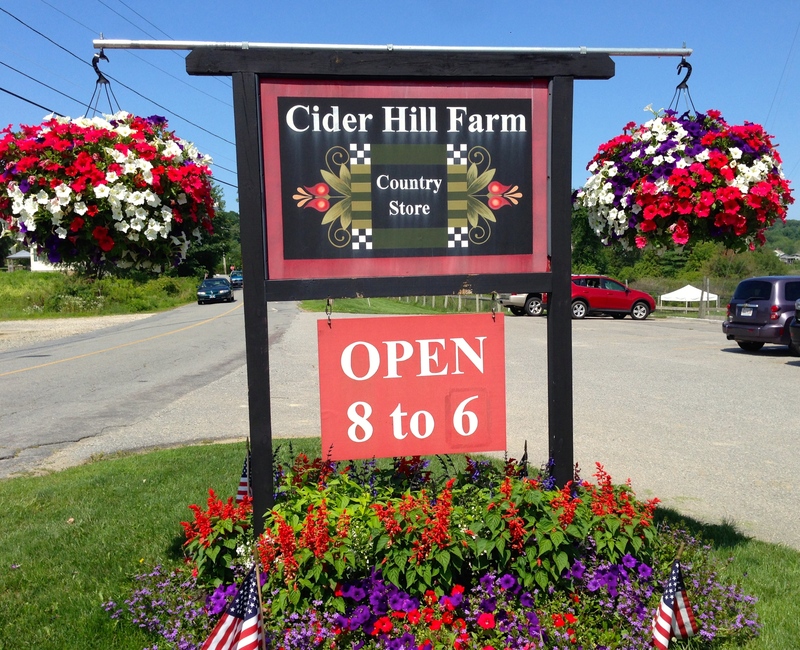 Cider Hill Farm provides opportunities for international exchange students in agricultural universities to become interns for one year here. They are housed on the farm. I don’t know where they are from this year but they stopped to chat and were happy and delightful young men. That night we enjoyed the bounty of Cider Hill Farm and declared it delicious. Tomatoes had the perfect amount of acidity. You would never know they weren’t grown under the summer sun… not like awful hothouse tomatoes we tolerate all winter. 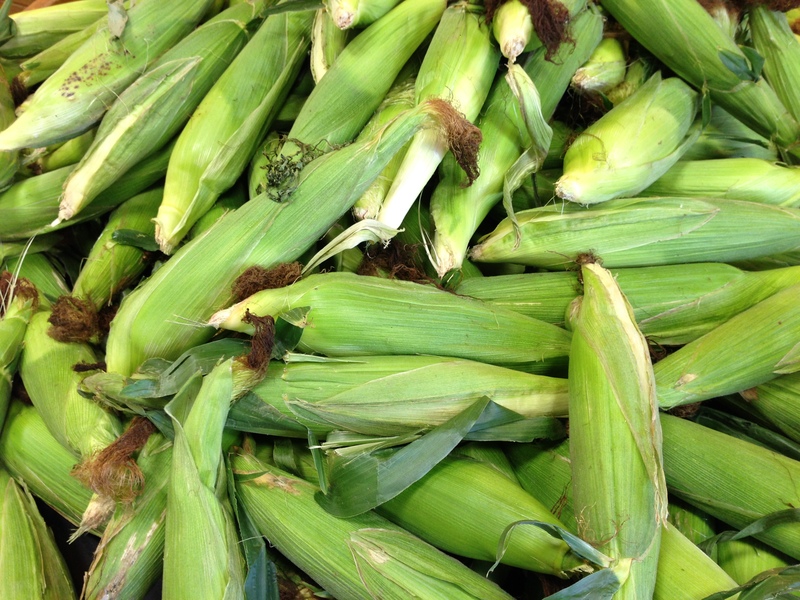 The corn was beyond perfection and we’ve returned 3 times for more! How divine! 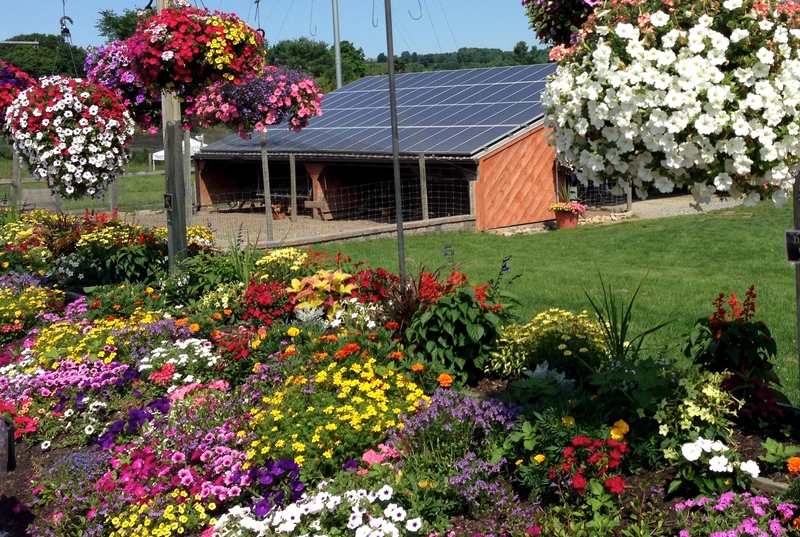 This entry was posted in New Hampshire and tagged Cider Hill Farm, corn, New England, Renewable Energy, solar panels, Tomatoes by Annie. Bookmark the permalink. Wow! My mouth is watering! What a wonderful place! You are right. And it was fun to find another source for fruits and vegetables close to home. Not Virginia’s Hanover tomatoes but delicious. 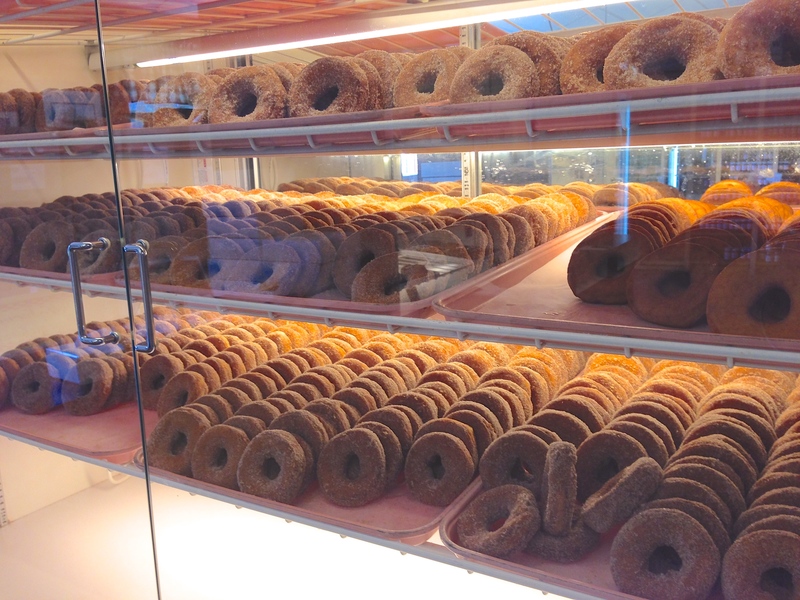 It all looks so beautiful and delicious! I like lots of butter on my corn too. I could eat that dinner every night! Two healthy pats of butter. I did use a bit much, didn’t I? Not too much for my taste. Haha. I hope you got some of those blueberries too. They look so good!